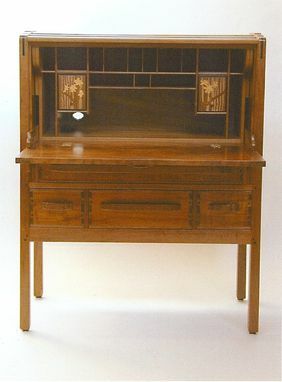 A meticulous reproduction of a Greene and Greene Gamble House piece, this desk features front and sides with inlays of ebony, brass, turquoise, lapis lazuli, marble, bubinga, and oak. G & G classic features are present throughout: steps in the surface (or cloud lifts"), shaping, rounding, and softening of edges. The front supports project automatically when the fall front is lowered. 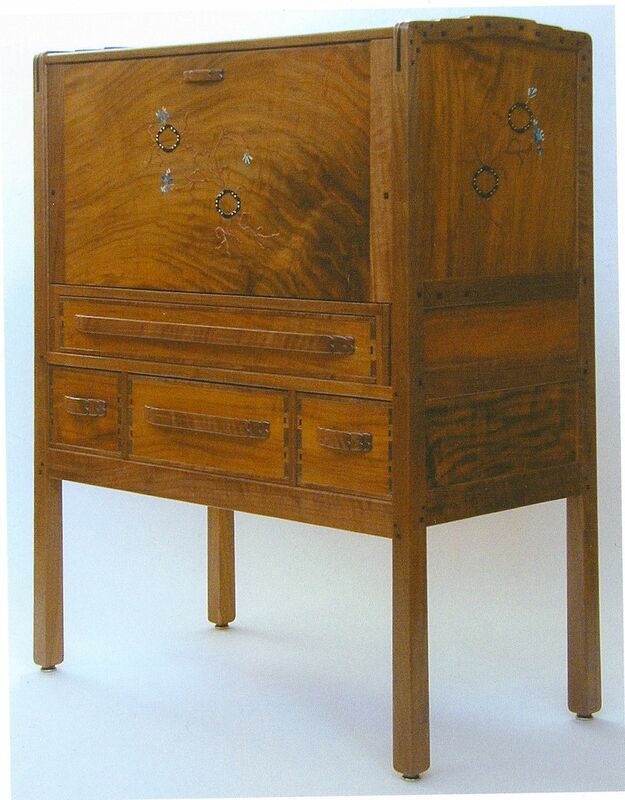 Inside, the pigeon hole structure includes inlaid and carved doors depicting narcissus flowers. 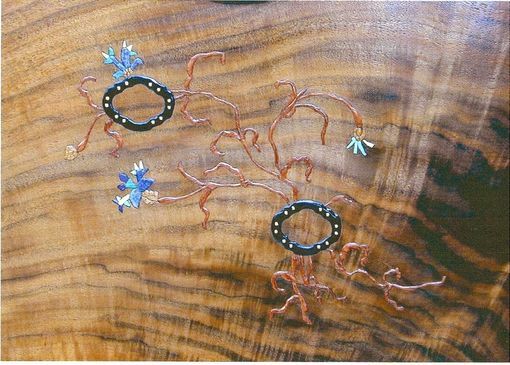 A hole lined in ebony at the back provides wire access.